In the upper foothills of western North Carolina where mounds begin to feel like mountains, remain the remnants of two lost cities. Both thriving and prosperous a century ago, their features are now unrecognizable as anything other rural landscapes. These forgotten towns locations, and what caused their demise, explain the absence of any community bigger than a crossroad in northern Caldwell County and why nothing—even a city– is permanent. “I cannot imagine a better location for a little town than the one on which Mortimer is built,” –an admirer in 1905. Today, the lost city of Mortimer is just north of rocky rapids through which Wilson’s Creek runs. Known locally as “The Gorge,” the creek serves as a natural waterpark for local folk. But in 1905, excitement in the area centered around the creation of a prominent town when the Ritter Lumber Company bought land with the intention of supplying furniture factories in Lenoir and Morganton with wood. Jim Mortimer, a superintendent for the company, brought along his brother Bill, who organized and promoted the town. 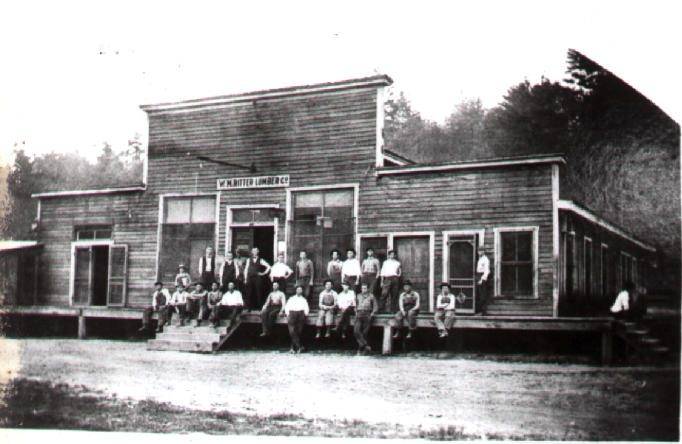 At its zenith, Mortimer claimed 800 residents, a movie theater, hotel, company store, and post office. Straightaway, the Carolina and Northwestern Railroad laid tracks to Mortimer. In fact, the train went even further north, to the small community of Edgemont, where most of the management chose to live, out of sight of the lumber yard. By the spring of 1916 Mortimer threatened to overtake Lenoir as Caldwell County’s largest town. So prestigious was new city that when former president Theodore Roosevelt came to western North Carolina, he stayed at Mortimer’s Laurel Inn, reportedly dancing in the hotel’s ballroom with Mrs. Bill Mortimer. Twenty miles to the east, on less hilly ground, came another entrepreneur with similar goals. William J. Grandin took an early interest in not only the southern furniture industry but also transportation. He wanted to build a line that ran to Boone that would connect with the East Tennessee and Western North Carolina Railroad, a rail line carving out a path to Boone from Johnson City, Tennessee. Grandin’s Watauga & Yadkin Valley Railroad would be part of a significant time-saver for goods going across the mountains. But when Grandin’s men came to the area and started buying land for the venture they were warned. One old-timer pointed to marks on the river banks to where the water had risen from earlier floods. “I can stop the water with the heel of my shoe,” sneered Grandin’s man. Construction commenced. By May of 1913, daily passenger service from North Wilkesboro began along the line, including logs hauled down from the hills. It took the building of 20 trestles and a tunnel, but Grandin’s vision was becoming a reality. In its day, Grandin looked a lot like Mortimer, with elaborate machinery for planing lumber as well as other amenities. A post office, boarding house, and store that sold hats as well as women’s dresses gave the little metropolis sense of pride. The town also sported a blacksmith shop, baseball field, and an elaborate fire prevention system with fire hydrants strategically placed around the town. Both the towns of Grandin and Mortimer proved to be money making ventures, growing rapidly in the effort to reach their potential and become established as permanent entities. It took one event to bring them both down and stop their momentum: the Flood of 1916. For 36 hours in mid-July, it rained constantly. In Mortimer, Wilson’s creek swept away 30 houses, while down river, the Catawba crested at 42 feet above normal. The Ritter Lumber Company, which had already weathered a mountain wildfire that summer, saw its lumber washed away. Similarly, the Yadkin River rose to levels never before seen or since. Trains on the Watauga & Yadkin Valley Railroad were stranded as all 20 trestles along the line disappeared in the torrential rains. However, both communities vowed to rebuild. For Grandin, the funding to rebuild its momentum to Boone became harder. Prior to the flood, his rails had extended only one mile north of Darby, still 15 miles south of Boone. The setback called for refinancing, made more difficult by the American entry into the First World War. The deathblow came with another, smaller flood in 1918, called a “freshet.” The plans for the railroad and the lumber mill were abandoned. Mortimer tried to diversify. 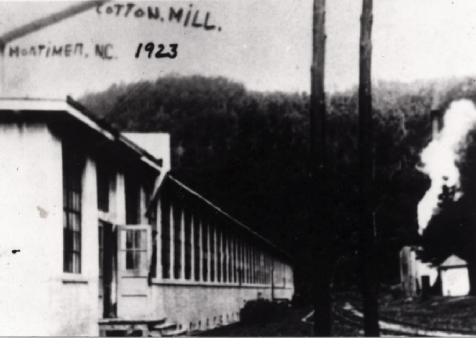 With Ritter Lumber having mined most of the wood from the area, local interests built a cotton mill. But the same watery fate that crushed Grandin also befell textiles, only later. 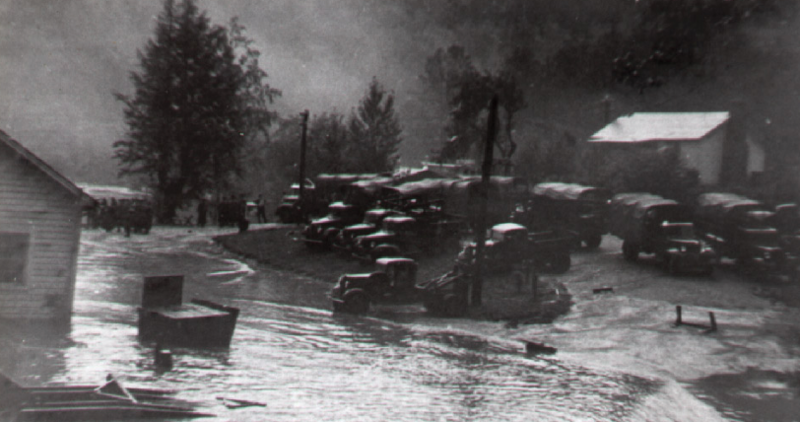 It was the 1940 flood that upended the Mortimer Cotton Mill. Since then, remnants of each town remain, but the land has morphed into something quite different. A visit to Mortimer gives few clues of its past glory. Actually, neighboring Edgemont reveals more about the glory days than does Mortimer. The old railroad depot is now privately owned. Coffey’s General Store hearkens back to the early days of the 20th century, serving the few local residents who remain as well as visitors. Down the road in Mortimer, the cotton mill ruins stand. More recent relics include a Civilian Conservation Corps camp from the New Deal era, a country store, and campground. Today, if anyone is there, chances are they are wading in Wilson’s Creek, either fly fishing in the cold or splashing around whitewater in the heat. Either way, their frame of mind is far from the city. Grandin has a much different vibe. One of the mill buildings still stands, but today it’s a barn for a local farmer. The only other structure extant from back then is the boarding house. For years, the daughter of one of the original managers of the mill, Doris Hawkins, lived there. Her passing in the 1990s wiped from the ledger the last original resident of Grandin. The land is now privately owned, used mostly for farming. The fire hydrants are gone but some of the wood from earlier buildings was repurposed in 1925 for the relocation of Grandin Baptist Church to its present site. Walking what were once the streets of Grandin evokes a feeling far from the sights and sounds of a city. Grandin and Mortimer, once full of economic bustle and promises of prosperity now lie lost, with only hints of their former stature. Seeing what was and what failed to come demonstrates to us that nothing is inevitable. People think of towns and cities as permanent and unfailing. They are not. Towns have come and gone from the maps of western North Carolina, some exiting spectacularly as Mortimer and Grandin, victims of catastrophic events, some dying the slow death of population decline as residents gave up and simply moved away. Under a landscape that belies their former existence, lost cities can still be found. A person only needs a good history book—and a wish to know–to do it. 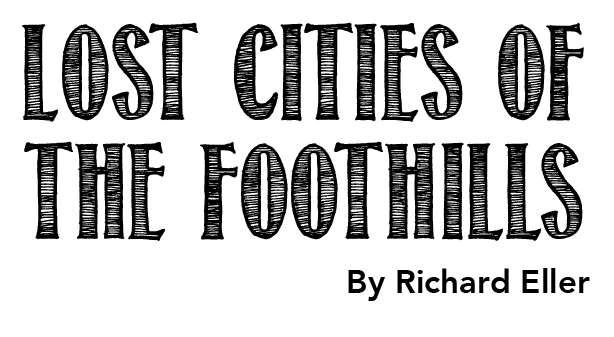 Very well written Richard. As always, you tell the story of the past with such detail one can almost feel as if they are there. Thanks for this very well written piece and some history of my home state that I never knew!